When Giel Spierings returned from college to find his family’s dairy farm up for sale, he decided to do something about it. Now, his award-winning cheeses are gaining ground across the UK. Tom Shingler paid him a visit to find out more. Britain is absolutely chockfull of cheesemakers these days. We make over 700 varieties – that’s more than France – and even the supermarkets stock artisan wedges from across the UK. Putting together a knockout cheeseboard has never been easier, and it’s thanks to people like Giel Spierings that we no longer have to look abroad for world-class varieties. Giel is the man behind The Cornish Gouda Company, a small farm-based business outside of Looe. Gouda is well-known in the UK, but tends to lumped in that category of uninteresting European varieties that are often found shrink-wrapped on supermarket shelves. Growing up in Holland meant Giel knew the stuff in the UK was a pale imitation of the real thing. However, to truly appreciate the cheese Giel produces on his small family farm in Cornwall, you have to know the story behind it. It’s safe to say that most cheesemakers probably don’t get into cheesemaking because of the money – instead, it’s an unwavering love for the lifestyle and their product. But for Giel, it was a slightly more pressing matter that pushed him into making gouda. 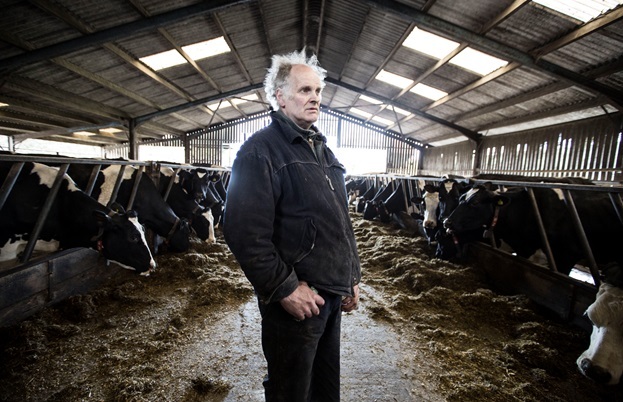 ‘In 1998 Mum and Dad moved from Holland to Cornwall to start dairy farming,’ he says. ‘At that time Holland was producing well over 100% of its own milk, whereas England was only producing 62%, so they thought there was a really good market in the UK for dairy farming. Unfortunately the UK never had a great price for milk, and in 2011 they went bust. They struggled on for another year to see if the prices would improve, but it wasn’t enough to cover the losses so they decided to sell the farm. With the family farm saved and demand for Giel’s gouda soaring, business began to boom. 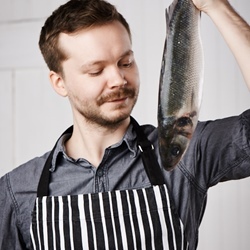 Along with his brother, mother and father, the cheesemaker based the entire business around the farm, growing their own crops for the cattle and only using milk from their own herd. 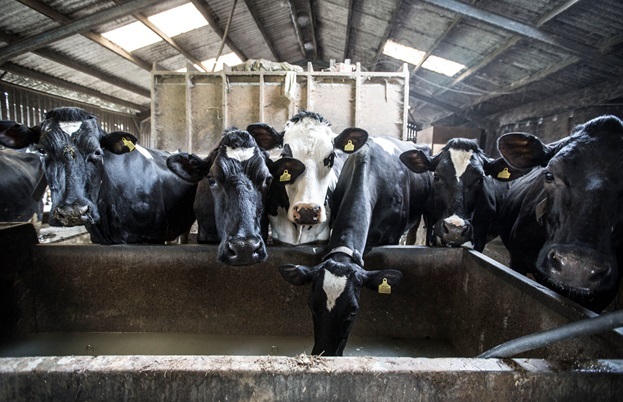 The cattle feed is even grown on-site, and a biomass boiler fuelled by sustainable forestry makes Cornish Gouda one of the eco-friendliest cheeses in the UK. But of course, none of that would matter if the cheese didn’t taste good. That obviously isn’t the case, and Giel has the awards to prove it – last year Cornish Gouda took home the trophy for Best Hard Cheese at the Great British Cheese Awards. With four different ages of gouda (ranging from a four-month-old medium to the two-year-old extra mature) and flavour-added varieties such as cumin, fenugreek, clover and truffle, Giel is also ensuring his cheese appeals to all palates at a decent price point. A story with personality, good quality ingredients and a fantastic product – these are the things that make a British cheesemaker award-winning. 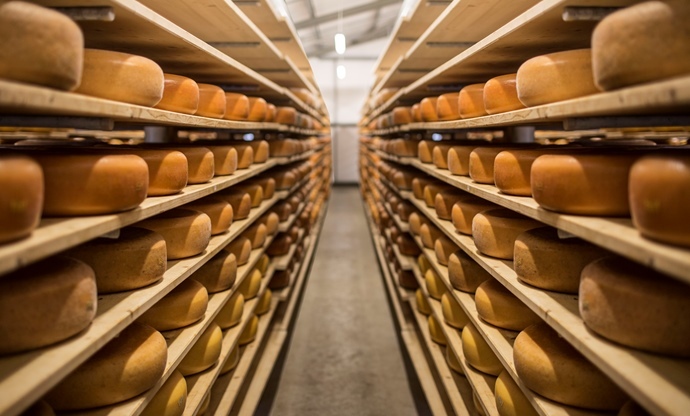 And with Giel looking to build a new cheesemaking room to meet demand (The Cornish Gouda Co has just signed a deal with Booths to stock its stores in the north of England), it looks like we’ll be seeing a lot more of his cheese in the near future. If you’ve been put off by poor-quality gouda in the past, or are just after a British cheese with a bit of a difference, it’s definitely worth seeking out a wedge.